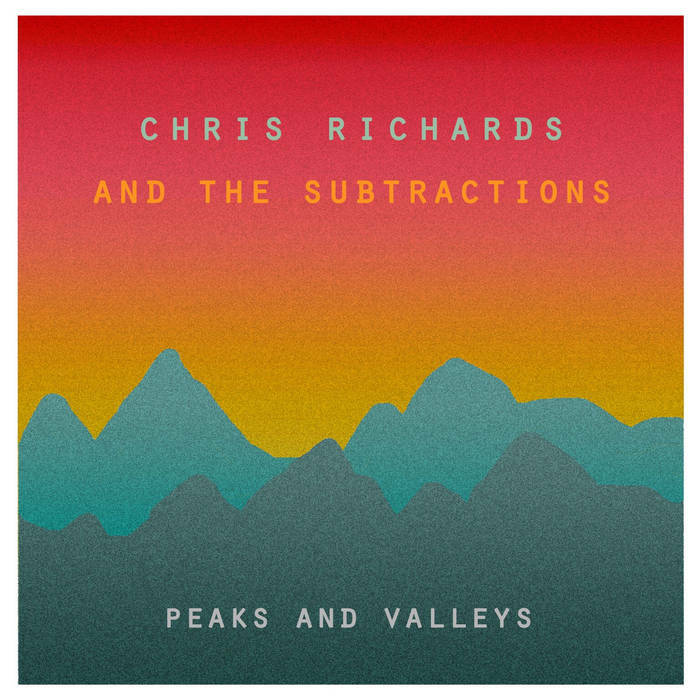 Veterans of the mid-west power pop scene, Chris Richards and The Subtractions, are back with their new full-length record “Peaks and Valleys”, the highly anticipated follow-up to 2012’s “Get Yer La La’s Out”. The new record is the first with newly added Subtraction Andy Reed, who also is in The Legal Matters with Chris Richards along with longtime rhythm section consisting of Todd Holmes and Larry Grodsky. Reed brings along his guitar and some of the famous Matters’ harmonies to “Peaks and Valleys, the first recording bringing Chris and Andy together since The Legal Matters critically acclaimed “Conrad”, released in late 2016 on Omnivore Recordings. “Peaks and Valleys’ is packed with some of Richards’ best songs ever, with more guitar interplay and bigger harmonies this time around. Any and all guitar pop fans will find a new home in these “Peaks and Valleys”! The digital download will also feature a bonus track- a cover of Matthew Sweet’s Someone To Pull The Trigger.